It's a mobile era! Formulate your business with the smart mobile applications. Let the prominent mobile app developers assist you for your requisites! Interactive web applications leave a good impact! Connect with us for the logical and practical web solutions to match ever-increasing demands of clients. Embrace the Wearable technology & develop applications for Apple Watch & Android watch. Be found through the apps & make it easy for the clients to reach you! Realistic UI / UX designs speak your business nicely. Hire our creative designers to decorate your apps & your clients will be pleased to visit you! 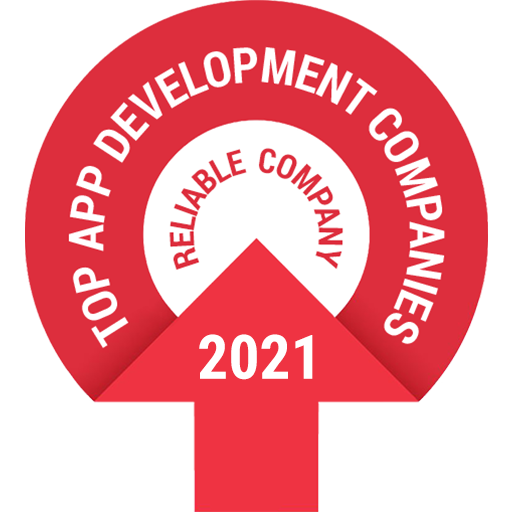 A shutter of iMOBDEV Technologies, a topmost Mobile App Development company was opened up 7 years ago. From the first day, we attempt to come up with the conspicuous outcomes for website and mobile app development. As of now, we are a team of 100+ masterminds working together & successfully finished 500+ projects of global clients. Having a splendid website & interactive app is indispensable for an intense business growth. Company aspires professionals to achieve their business goals through the first-grade web design & development and mobile app development services. An ISO 9001:2008 certified company reserves the most qualified geeks to formulate manifest web and mobile apps. As a reputed mobile app development company based in India, USA & UAE, competent industry leaders have mastery to deal with any kind of industry requirements. We can smoothly convert your imagination into phenomenal website and app along with the user-friendly approach. Till the date, many types of striking apps developed by the motivated developers belonging to iMOBDEV. Take your business to the new level by choosing our distinctive mobile application development services for enterprises. Craft the responsive designs that will leave a good impact on visitor’ minds. Hire our full-time designers who have good hands on the latest designing tools. Through clear-cut designs, you can grab visitors’ attention at first sight. Boost your sales with the search-engine friendly website design and development. Responsive web development services ensure your significant online presence. Acquire a business website to increase visibility, sales & revenue. Overall client rating is 4.5 out of 5.0 for iMobDev - Web & Mobile App Development Company by clients on over 500+ projects. iMOBDEV works remarkably as they have accomplished my numerous problematic projects on time by giving fast & suitable outcomes! I feel it’s an excellent organization to get involved with. One of the finest outsourcing company located in India with a superb grasp on designing and development abilities. I would surely love to endorse iMOBDEV Technologies as the best outsourcing company. The complete journey of working with iMOBDEV for my project of MarinaNow was admirable and lovely. Impressed with the dedication of the techies. I appreciate their work! As a leading Mobile App Development Company, We have helped our clients in increasing their brand value by creating specialized mobile and Web applications to reflect their requirements. We have strong global client base spreading around the world.